Oil crisis is not a new phenomenon. It began in 1973 when the Arab member of the Organization of Petroleum Exporting countries (OPEC) announced that they would not ship petroleum to nations that supported Israel in conflict with Egypt at that time. After the turn of the century the price increase crude petroleum has been on a steady level. 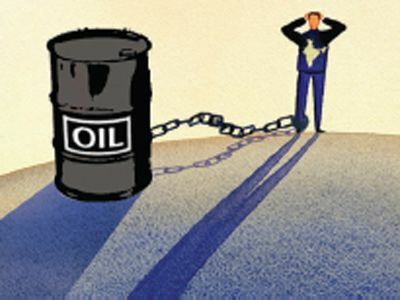 As the oil prices are likely to remain strong and even escalate, the global energy crisis is looming large. The present energy crisis is totally different from that which was experienced in 1973-74 and the early to mid 1980s. Sufficient worldwide geological capacity is eroding to a considerable extent. The world’s petroleum geology is unequally divided among the oil producing nations of the world. The top 4 countries produce about 98 per cent of the total oil. Saudi Arabia leads the team with over 16 per cent of the world’s total oil production. Iraq, Kuwait and America follow in that order. India produces around 0.8 per cent. It is believed that 14 out of the total top 42 oil producing countries have passed their peak. The most notable among them being the USA, the former Soviet Union, Syria, UK, Libya and Romania. This means that these countries shall not be able to maintain high production of oil as their reserves are on the decline. He remaining 8 countries are likely to reach their respective peaks within the next decade or so. Kuwait will be the last country in this group to reach the peak. The production in this group will also be on the decline in the near future. The oil producing countries may be classified into Middle-East and Non-Middle East countries. The former includes nine Persian Gulf countries, viz. Iran, Iraq, Kuwait, Oman, Qatar, Saudi Arabia, Syria, UAE and Yemen. These nations have only four per cent of the world’s population but own 46 per cent of the world’s oil reserves. The production within this group is dominated by five countries, i.e. Saudi Arabia, Iran, Iraq, Kuwait and UAE which together produce 94 per cent of the total Middle-East oil reserves. The Middle- East has always been facing serious political problems. First it was Iran-Iraq war. Then it was the American invasion of Iraq and finally Iran’s defiance of world community, the UNO and the super power USA in making nuclear weapons. These developments have been putting a lot of pressure on oil supply and spiraling up of prices. Notwithstanding the use of non-conventional sources of energy and developing new technologies to develop alternative sources of energy, oil still remains the most efficient source of energy and therefore the most valuable. It is necessary to use it most efficiently. Modern rapid transport facilities like metalled roads, over bridges, etc. help make the maximum use of fuel. The mass transport systems like Delhi Metro are the best way to reduce the burden on oil. Another way to limit the rise of oil price is to establish a buyer’s cartel which should regularly interest with the leading procedures.